A new €1 billion fund has been launched by Minister for Rural & Community Development, Michael Ring for rural regeneration and development. Minister Coveney is encouraging local authorities and communities to submit proposals for funding. FG South Central TD and Tánaiste Simon Coveney said: “The new Rural Regeneration and Development Fund will invest €1 billion of Exchequer funding over the next 10 years. The Fund provides an unprecedented opportunity for us to make a significant impact which will transform rural Ireland for the better. “It is essential that Cork’s local authorities and community organisations here in Cork make submissions for funding. This will be a competitive process open to public bodies and locally based organisations. enhancing heritage and community assets in rural areas. “The Fund will target towns with a population of less than 10,000 people, as well as villages and outlying rural areas. “In general, the Fund will provide up to 75% of the total value of a project. 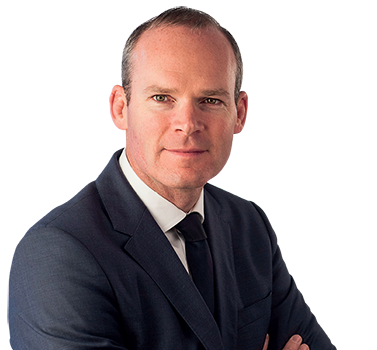 A maximum of 80% of funding will be considered where community contributions form a significant element of the match-funding,” said Coveney. Minister Michael Ring said: “The launch of this fund represents an unprecedented opportunity to make a significant and sustainable impact on rural communities. The €1 billion investment over the next 10 years will be targeted at strengthening the fabric of rural Ireland. “It will support improvements in our smaller towns, villages and hinterlands to enhance their attractiveness for families and enhance the quality of life of rural communities. The fund will also support job creation in rural areas. “The first call for proposals will be launched in the coming weeks and will focus on collaborative projects that will add value and have a transformative impact on rural areas. The Government is working towards a first call for proposals under the Fund in late June, and further guidelines on the type of projects that can be funded will be made available at that stage. The overall objective of this Fund is to deliver the strategic outcomes of Project Ireland 2040, and in particular to strengthen rural economies rural communities by rejuvenating smaller towns and villages, helping to diversify employment opportunities in rural areas, supporting the development of rural communities and improving their quality of life. The Fund will target towns with a population of less than 10,000 people, as well as villages and outlying rural areas. Detailed criteria are now being developed for the first call for proposals which will be announced in the coming weeks. The Fund will encourage collaborative approaches between Departments, agencies, Local Authorities and other public bodies, and the private sector, where appropriate, to pool their assets and work with communities to transform our rural towns and villages and their outlying areas. Proposals will be expected to be consistent with the National Planning Framework objectives and provide a strategic integrated approach which is consistent with regional and local plans for the area. Projects must demonstrate a capacity to add value to other public investments. There will be a requirement for a co-funding contribution from other public or private sources – expected to be of the order of 25%. The first phase will also allow for technical supports for preparatory groundwork for future phase investments, through Local Authorities and other locally based organisations.